With as many as eight other speedsters being introduced, how have they not updated Barry's costume? As more and more speedsters pop up in the CW’s The Flash, we’re all realizing that so many of them have better costumes than the titular Scarlet Speedster. Other than incredibly minute adjustments over the past two and a half seasons, virtually nothing has changed for poor Barry. Grant Gustin, the Flash himself, took to Twitter recently to lament the state of his character’s current suit. I feel like Barry is passed due for a new suit. Barry is indeed “passed” (sic) due for a new suit. Other than the one-off instance where Barry had Wells fashion a Tachyon Enhancement late in Season 2 that was later miniaturized and put behind the Flash insignia — the silly device Supergirl would tease him for in their crossover episode — the only upgrade was the cosmetic shift from a gold-on-red chest insignia in Season 1 to a white background going into Season 2. Woah boy. Big time stuff. What a waste, considering Barry is easily on at least his third suit. This is as good as it gets for Barry. Moving forward, let’s take a look at some suits Barry might source for some much-needed inspiration in developing a new super suit, because rest assured there are a TON out there. The thing about the costume Grant Gustin’s Flash has been sporting is that it’s afraid to dabble in the brighter hues of its comics counterparts, and though it is clearly inspired by traditional Flash costumes akin to that featured above, it opts for what looks like dull maroon-ish leather pieces and mesh-like patches hodgepodged together, as is the case with many of the show’s costuming choices. A new costume might return to a brighter, more classic onesie look with unapologetic bright yellow boots. Pointier lightning ears are also strongly encouraged. All versions of Future Barry we’ve seen on the show so far — except for the one most recently seen in Barry’s trip to the future during the mid season finale — have indeed sported a suit that’s a bit brighter than the one we are used to. 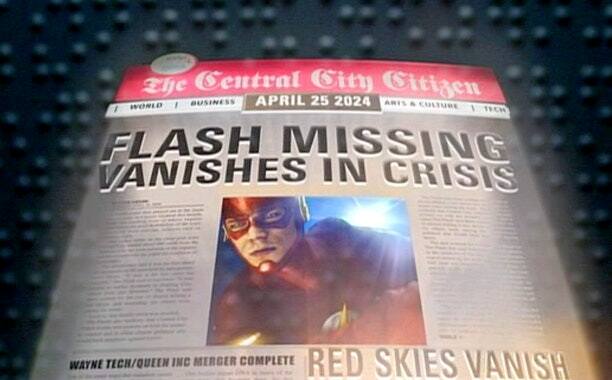 Remember how bright the costume is in that future newspaper front page we are always seeing. From a utility standpoint, Flash’s suit offers little to no protection from anything other than catching fire from moving so fast. Sure, he can heal from almost anything at an accelerated rate, but that doesn’t mean his physical body is that durable. Some subtle shoulder pads or even gauntlets could add some of that much-needed protection for when he comes up against more physical opponents like Savitar. Heck, he could even take some cues from the Snyderverse Flash on costuming. And sure, from a marketing standpoint, it’s important to costume consistently, but if Batman and Iron Man can have a bunch of different situational costumes, why can’t the Flash? The Flash Annual (Vol 4) #3 introduced a version of Barry from 20 years in the future where and when he’s so distraught over the death of Wally West that he starts killing his enemies so he can go back in time and save his sidekick (it’s worth noting that in some continuities, the presence of more speedsters restricts the amount of Speed Force to go around, rendering it impossible to time travel in most cases). 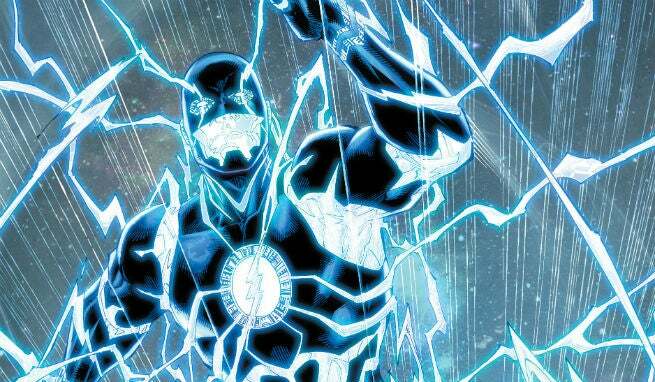 This dark and grim version of the Flash sports a black costume rife with blue lightning similar to Barry Allen’s Blue Lantern suit — yeah, somehow that happened too at some point. This would involve a full redesign that would veer away from the original red color scheme of classic flash, but it would ooze cool in the same way that Black Suit Spider-Man does. Bonus tin foil hat: Doesn’t this look a lot like Savitar’s style? Wally West from the Future. 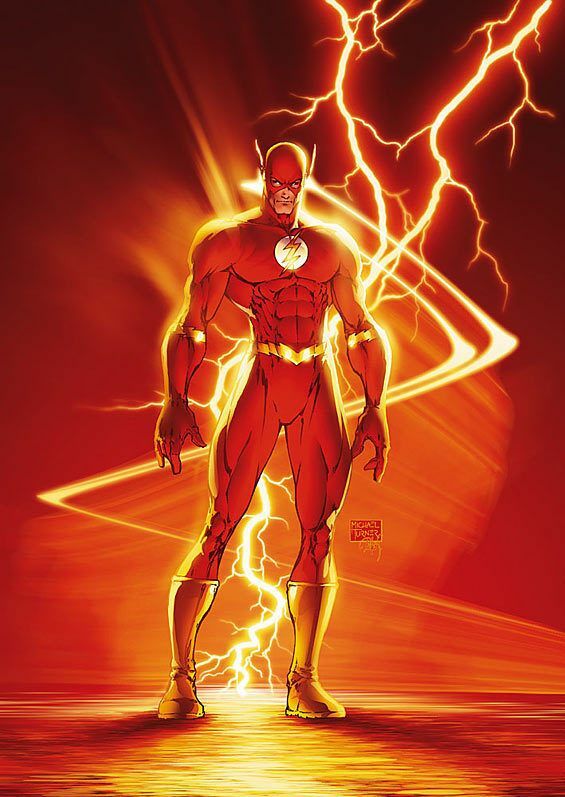 A version of Wally West from the future, this speedster sports a white, black, and red color scheme with red lightning. It’s not unlike the previous half-yellow, half-red Kid Flash costumes, this time with white on top and red on the bottom. 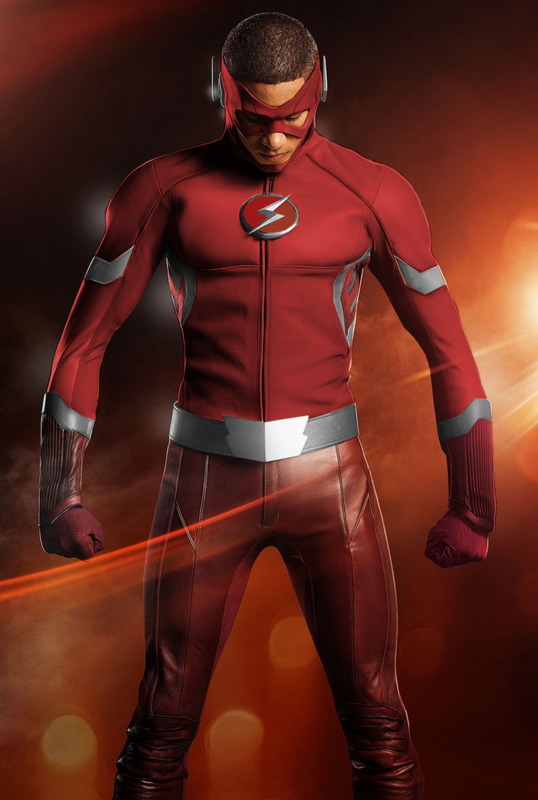 Though probably a long shot, it could make for a really refreshing look, if not for Barry, then at least as an alternate for Wally down the road. Bonus Stylistic Option: Open Hair! This all-red riff on Wally’s Kid Flash costume from the show could be a great new look for Barry, complete with the open-hair concept so popular among the various Kid Flash costumes of yesteryear. With fab hair like that, I’m surprised that nobody has tried to expose Grant Gustin’s hair sooner in a costume. The hair would look not unlike the following version of Wally West’s Flash, but we might get less of Grant in-costume with the cowl thrown back, which would be a bummer. Wally West from the comics with an open-hair all-red costume. But seriously, even Trajectory had a better costume than Barry, and it looks even better when recycled onto Jesse Quick. But, more importantly, why no costume ring? Maybe Barry will get his wish if he’s able to solve this whole Savitar crisis without managing to get Cisco killed. That way, the two couldbro out over making something new. Hey, Arrow rebranded multiple times, so why can’t the Flash? The Flash speeds back to the CW on January 24.